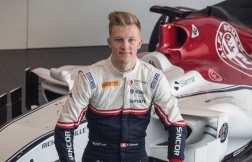 Swiss racing driver Fabio Scherer says he is thrilled by the prospect of competing at the legendary Spa-Francorchamps circuit in Belgium during this weekend’s FIA F3 European Championship event. 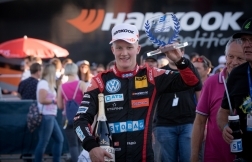 The 19-year-old enjoys classic courses such as Spa, which combines an average lap speed in excess of 190km/h with some of the most daunting corners in world motorsport. “I’m looking forward to a great weekend because Spa is such a classic circuit. That’s not to say that it is easy – usually we will run the car in a low-downforce set-up to maximise the straightline speed, but that makes the corners more challenging,” Fabio explained. With a lap of Spa measuring 7.00km, the circuit is the longest on the F3 European Championship calendar and there are several places around the track where overtaking is possible. 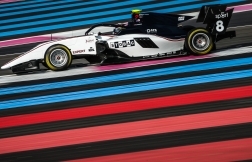 “Although a strong qualifying position is important, it is not quite as crucial as it is at some of the other circuits. If you have good race pace in your car, there is the potential to move up the order,” Fabio said. The circuit comprises three very distinct sectors, each of which has its own challenges. In Sector 1, from the start/finish line to the end of the Kemmel Straight, it is vital to maintain good momentum. 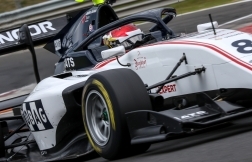 “If you get the hairpin wrong at the start of the lap, you will lose pace through Eau Rouge – which is easily flat-out in a Formula 3 car – and will then be slow all the way along the straight to Les Combes,” Stobag-supported Fabio explained. “Sector 2 is the real driving sector, because it has a challenging downhill section. A good driver can gain quite a lot of time through there. The weather at the circuit in the Ardennes Forest can be notoriously fickle. High temperatures are forecast for the weekend, but there is also a threat of thunderstorms. “I think Spa could suit my driving style, but it will depend on the weather. It will probably be really hot, which will affect tyre wear and determine how we approach each race,” said Fabio, who has tested at Spa before but never raced there. Following practice and qualifying on Thursday 26 July, Fabio will contest two races on Friday, with the final race of the weekend taking place on Saturday morning – just before the world-famous 24 Hours of Spa gets underway.